Faiveley has a significant amount of land under vine right through the Cote d'Or and beyond. 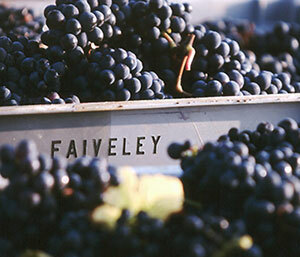 The principle business is that of a negociant however, at the highest level, Faiveley supplies over 80% of the fruit with less than 20% bought in, so that tight reigns can be held on the quality of the product. This is a hugely successful operation from one of the most dynamic businesses in Burgundy. With far too many top sites to mention here, drinkers should make every effort to cellar at least some of Faiveley's grands and premiers crus.